"DIGNITY" was performed ten times during the brilliant spring 1995 tour. My wife and I had the pleasure to witness the second real live preformance ever (not including the "Unplugged" version), in Kerkrade, where "DIGNITY" preceded "GOD KNOWS". After a five year rest "DIGNITY" appeared on another ten setlists in 2000. Again my wife and I got to see it, in Sheffield, two songs before the first performance of "NOT DARK YET" in England. 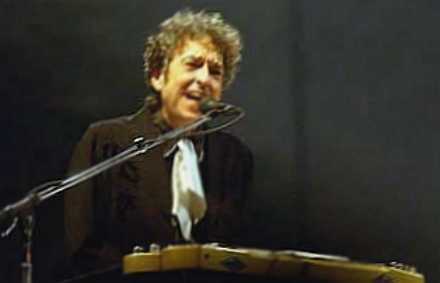 In 2001 Bob Dylan performed "DIGNITY" only three times, in Australia, Norway and Sweden. In 2002 it was not performed at all. The next performance was not until Good Friday 2003, when "DIGNITY" appeared at a club show in Dallas, with Bob on harp and piano. Two days later in Austin, on Easter Sunday, "DIGNITY" appeared again in the same fashion, with Bob on harp and piano. Another two days later, in Houston, Bob performed it without harp. The next appearance of "DIGNITY" was at the New Orleans Jazz & Heritage Festival; and then two days later in Tunica, Mississippi, where it directly preceded "SAVING GRACE". Another two days later it was performed in Nashville, Tennessee. In May "DIGNITY" appeared in Portsmouth, Virginia, once more followed directly by "SAVING GRACE". On the next day "DIGNITY" was performed in Atlantic City. Five days later, in Asheville, North Carolina, "DIGNITY" was sandwiched between two other masterpieces of the eighties, "EVERY GRAIN OF SAND" and "BLIND WILLIE MCTELL". Two months later, in Casper, Wyoming, "DIGNITY" was performed in the second show of the summer tour, in the same set as "I BELIEVE IN YOU". Three days later "DIGNITY" appeared in Big Sky, Montana; and the day after that in West Valley City, Utah. Next it was performed in Kelseyville, California, preceding "EVERY GRAIN OF SAND". In August, almost four weeks later, "DIGNITY" appeared in a the same set as "SE�OR" and "SAVING GRACE". One day after that both "SE�OR" and "DIGNITY" were performed once more, in Syracuse, New York. And finally on the following day, during the last show of the tour, in Niagara Falls, Ontario, "DIGNITY" appeared in the same set as "SHOOTING STAR". During the European tour in the fall of 2003 "DIGNITY" was performed in October in Hamburg, once more in the same set as "SE�OR". In November "DIGNITY" appeared in Milan, again in the same set as the now not so rare anymore "EVERY GRAIN OF SAND". The first performance of "DIGNITY" in 2004 was during the last of the four shows in Chicago, once more in the same set as "SHOOTING STAR". The next appearance of "DIGNITY" was a few weeks after that, in Washington, in the same show as the rare "RING THEM BELLS". The third performance of "DIGNITY" in 2004 was in Columbus, Ohio, more that seven months later, two days after the US election, as the second song of a brilliant set which also included "EVERY GRAIN OF SAND", "BLIND WILLIE MCTELL", "TRYIN' TO GET TO HEAVEN", and the fourth ever performance of "PO' BOY". 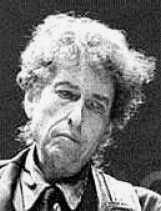 Already at the next concert, at Messiah College in Grantham, Pennsylvania, where Bob Dylan also chose to perform "SAVING GRACE", "DIGNITY" appeared again together with "PO' BOY". Five days later, in Saint Bonaventure, New York, "DIGNITY" was performed in the same show as "FOREVER YOUNG"; and two days after that, in Rochester, New York, "DIGNITY" appeared together with "PO' BOY" and "STANDING IN THE DOORWAY". In Durham, New Hampshire, another five days later, "DIGNITY" was performed once more in the same concert as "FOREVER YOUNG". Two days after that, in Amherst, Massachusetts, during the penultimate show of the year 2004, "DIGNITY" was performed in the same set as "PO' BOY", "EVERY GRAIN OF SAND", and "STANDING IN THE DOORWAY". For almost four and a half years "DIGNITY" was not performed at all, when in March 2009 Dylan surprised a German audience in Hannover with a new arrangement of this gem during the encores [mp3 link below]. Three and a half years after that, in Texas, in November 2012, "DIGNITY" appeared again as a once off perfomance. The hand of the Lord was upon me, and he brought me out in the Spirit of the Lord and set me down in the middle of the valley; it was full of bones. And he led me around among them, and behold, there were very many on the surface of the valley, and behold, they were very dry. And he said to me, "Son of man, can these bones live?" And I answered, "O Lord God, you know." Then he said to me, "Prophesy over these bones, and say to them, O dry bones, hear the word of the Lord. Thus says the Lord God to these bones: Behold, I will cause breath to enter you, and you shall live. And I will lay sinews upon you, and will cause flesh to come upon you, and cover you with skin, and put breath in you, and you shall live, and you shall know that I am the Lord."